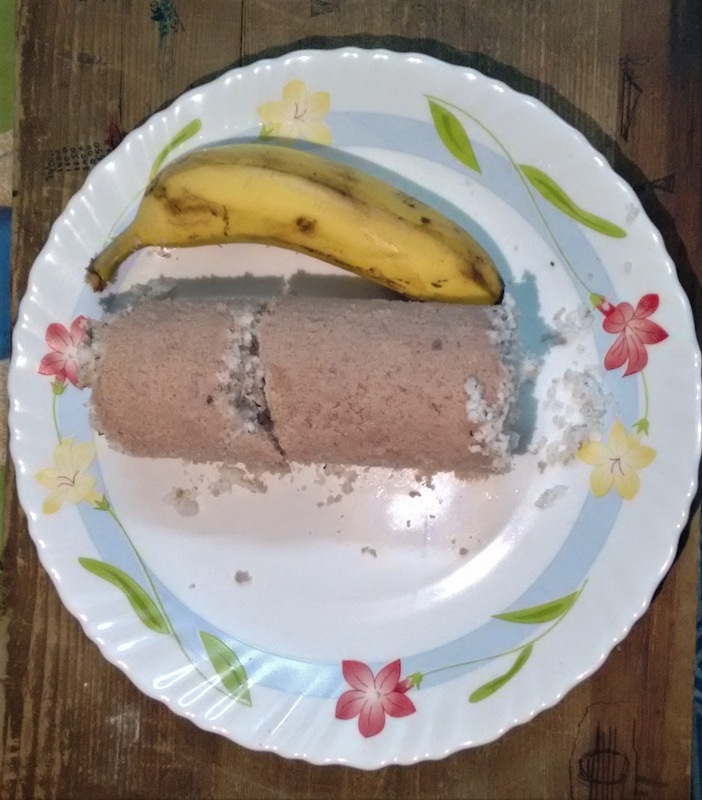 One of the most popular breakfast of keralites is the combination of having Puttu with Pazham (Banana). Kerala is blessed with paddy fields and coconut trees and this dish rightfully claims to represent the Kerala culture and tradition and the agricultural background! For people who don't relish a sweet breakfast, kadala (chickpea) curry is the substitute for banana. It is a very easy breakfast item to prepare. It is considered a healthy breakfast too because it is a steamed preparation and no oil is used for cooking. It is made with rice flour and coconut. Some people would add a little sugar to this combination if the banana is not very sweet. Once you mix the banana into the puttu and mash it, it almost becomes a sticky and gooey kind of product. Then you can make small balls of these and pop it into your mouth where it melts and gives a very good taste of the banana and coconut and cooked rice. For anyone who is interested in preparing this at home, I am giving below a simple recipe. The rice flour is fried and then cooled. Then a little water is poured and get a powdery format by slightly wetting the powder with your hands. There is a specially made cylindrical vessel in which this powder is transferred interspersed with grated coconut. Place it on a pressure cooker and steam it. Once the steam starts coming from the top, the puttu is transferred to a plate and serves hot with banana and sugar (optional). Else with a lentil curry called kadala (chana in Hindi) curry. p.s. : Do write back to me in case you need the exact measures. Else, you could search on the net to find the exact recipe to follow.